Nicholas Biwott dies in a Nairobi hospital following spinal problems just a week after death of Joseph Nkaiserry. - Bana Kenya News, Real African Network Tubanane. 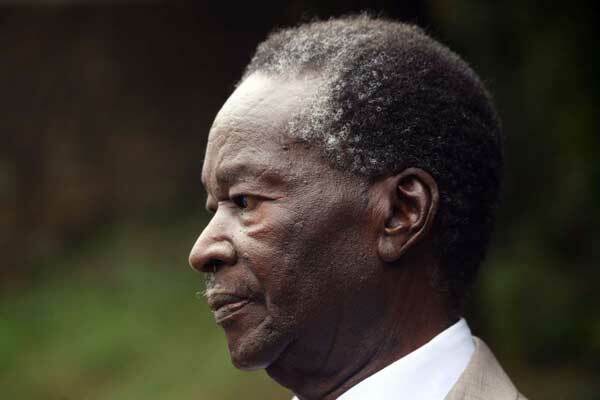 Home News Nicholas Biwott dies in a Nairobi hospital following spinal problems just a week after death of Joseph Nkaiserry. Nicholas Biwott dies in a Nairobi hospital following spinal problems just a week after death of Joseph Nkaiserry. Former Moi powerful Cabinet minister Kipyator Nicholas Kiprono arap Biwott is dead. The Powerful Minister was born in 1940 in Chebior village, Keiyo District, Rift Valley Province his parents, mother Maria Soti and his father Cheserem, were market traders in Eldoret. [In 1959, Biwott began working at the Department of Information in Eldoret. Later, together with Kendagor Bett, he published the Kalenjin Monthly newsletter]. February 1962 – Dec 1964: University of Melbourne, Australia: Bachelor of Commerce, Diploma in Public Administration: majored in Economics and Political Science. Nicholas Biwott was a member of parliament for 28 years. In 1979 he ran for the seat and became successful as a prospective MP for the Keiyo South Constituency and retained the seat in 1983 and 1988, 1992, 1997, and 2002. Mr Biwott, popularly known as 'Total Man', passed on at a Nairobi hospital after a long illness, his personal assistant said. Born 77 years ago, Mr Biwott bestrode Kenya’s political landscape like a colossus in the post 1982 attempted coup era helping retired president Daniel Moi deal with the growing opposition. Most of his peers hold that when the story of Moi is exhaustively told, he will occupy a number of chapters. The death of the Total man just comes after the death of a powerful cabinet secretary in the interior Ministry Joseph Nkaiserry who died on heart attack. The Total man was suffering from spinal problem before he met his death.